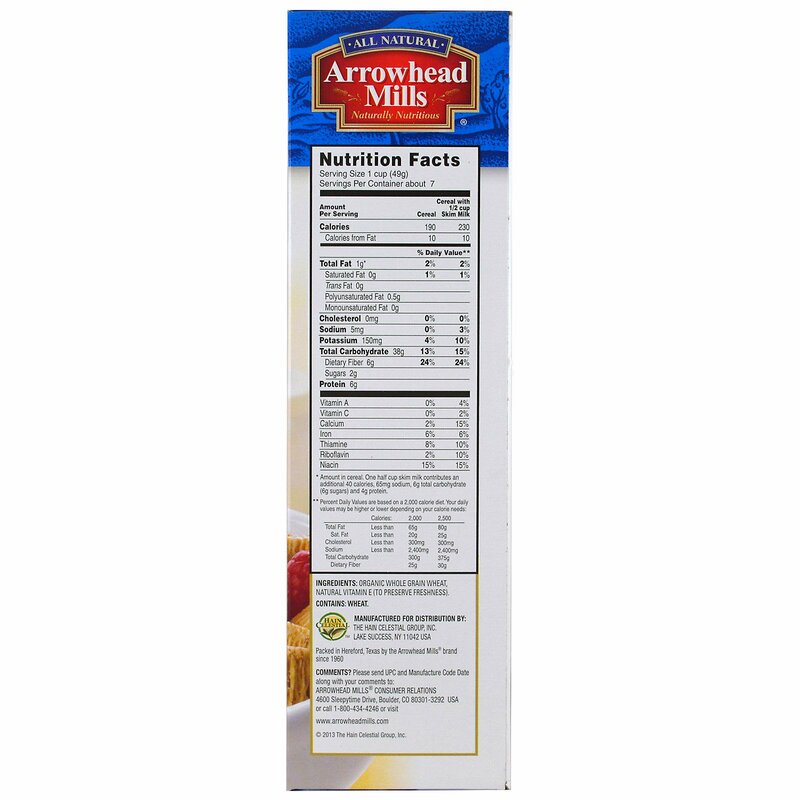 Arrowhead Mills has been a pioneer and leader in organic cereals, baking mixes, grains, and nut butters since our founding more than 50 years ago in 1960. Our organically grown ingredients are handled and distributed based on a strict set of standards. We purchase our wholesome ingredints directly from local suppliers whenever possible, thereby reducing the miles your food travels to market. We emphasize environmetal responsibility by maintaining sustainable farming practices. We do not use potentially harmful synthetic pesticides and herbicides on our organically grwon ingredients. We take steps to shrink our carbon footprint and conserve our planet including post-consumer, recycable, packaging along with water based inks. Naturally nutritious. All natural, Whole Grain Wheat is thought to have originated from the middle-east and dates back to pre-historic days. Today, this American staple has become the grain of choice. This Whole Grain goodness has been capstured in our unsweetened, bite size, Shredded Wheat Cold Cereal. 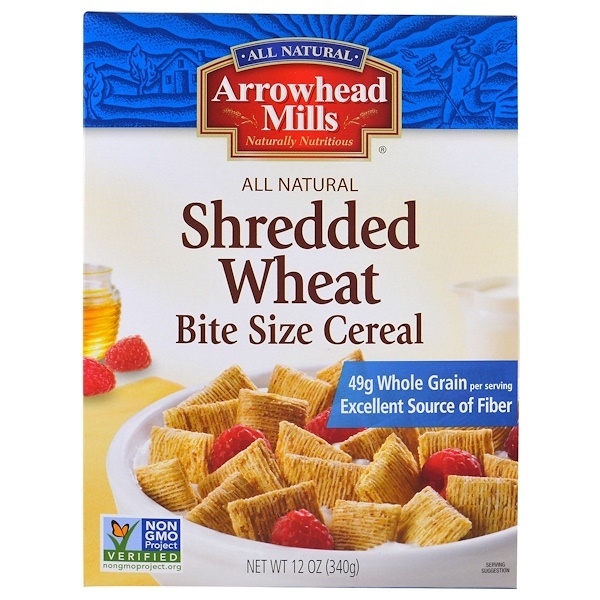 Made from 100% Whole Wheat, Arrowhead Mills Shreeded Wheat is rich in fiber and low fat, with no salt or sugar added, Purely wheat, from the oure earth. Arrowhead Mills brand provides the ultimate in whiole grain goodness with an array of breakfast products to choose from and get your day started right. Wheter you prefer puffs, flakes, shredded whea,t pancakes & waffles, or hot cereal. 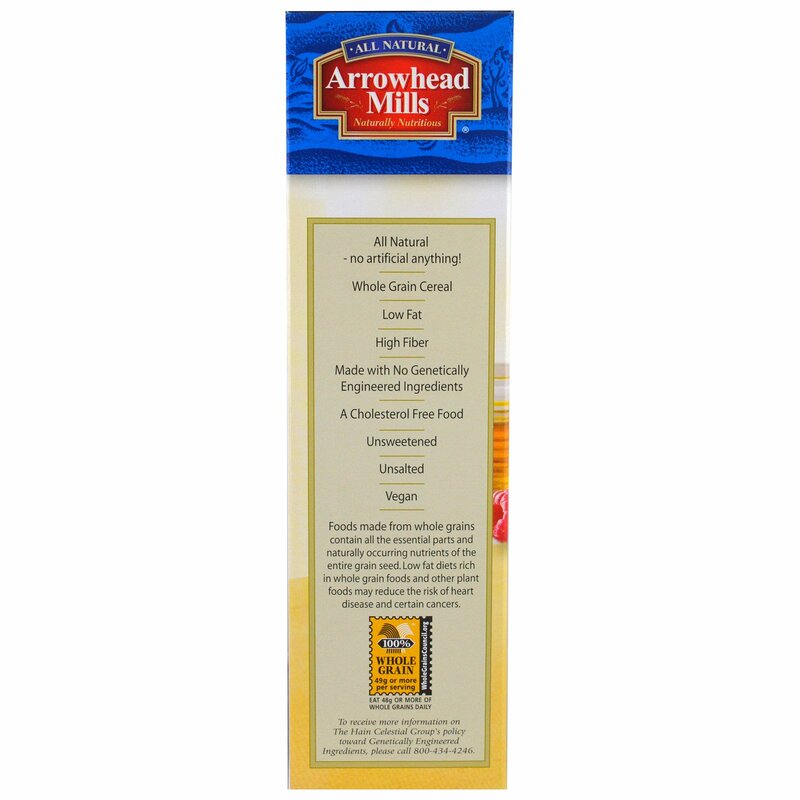 Arrohead Mills brand offers unparalled all-natural nutrition, quality and taste. Foods made from whgole grains contain all the essential parts and naturally ocurring nutrients of the entire grain seed. Low fat diets rich in whole grain foods and other plant foods may reduce the risk of heart disease and certain cancers. Organic whole grain wheat, natural vitamin E (to preserve freshness). *Amount in cereal. One half cup skim milk contributes an additional 40 calories, 65 mg sodium, 6 g total carbohydrate (6 g sugars) and 4 g protein.